Rewind UFO, Rewind Roller, Jelly Bean, and Guillotine all from Ifancyone.com. 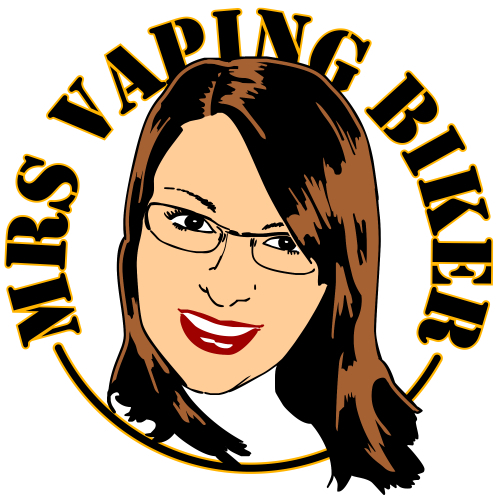 ELIQUID REVIEW! Today I am going to talk about and review 4 juices that IFancyOne/Wick Liquor introduced to everyone at Expo in October. Whilst trying them I felt like I was back in an old school sweet shop. The juices are Rewind UFO, Rewind Roller, Jelly Dream and Guillotine. All came in a 60ml bottle, 0mg, with 10ml spare for an 18mg Nicofuel nicotine shot to achieve the 3mg/0.3mg strength I vape. I have decided to change the way I review juice ever so slightly. 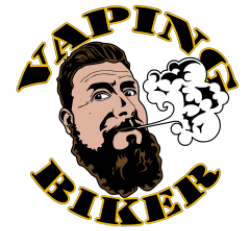 I will try the juice at varying temps and ohm’s and if there is no significant difference, other than a weaker flavour, I will just report on what the juice is like on a 9 dual wrapped single coil, 0.65 ohm @ 70 watts. The setup I have used is the Asmodus Colossal Mod with the Wasp Nano RDA (loving these two together). Rewind UFO – On opening the bottle I get a familiar smell of Wick Liquors Boulevard but not as strong. Now anyone who knows me knows I LOVE Boulevard so I am quite excited to try this. On the initial inhale I can taste the sweetness of sweets/candy and this pleasantly continues all the way through the vape. The taste is of a gentle Boulevard (Loganberry) initially and then moves to the taste of the Flying Saucer sweet we all knew as kids. They are both potent flavours that work really well together. I found the flavour continues on the exhale and was happily left with the flavour of berries afterwards. This is a winner flavour in my book! Rewind Roller – Ooo when I opened this one I felt like I was opening a bag of fizzy cola bottles. The inhale has a warm sweetness to it. Now I don’t mean warm as in heat but warm in flavour, like when eating cinnamon. The flavour I got was not the cola bottles I was expecting, but it was more like cola cubes. 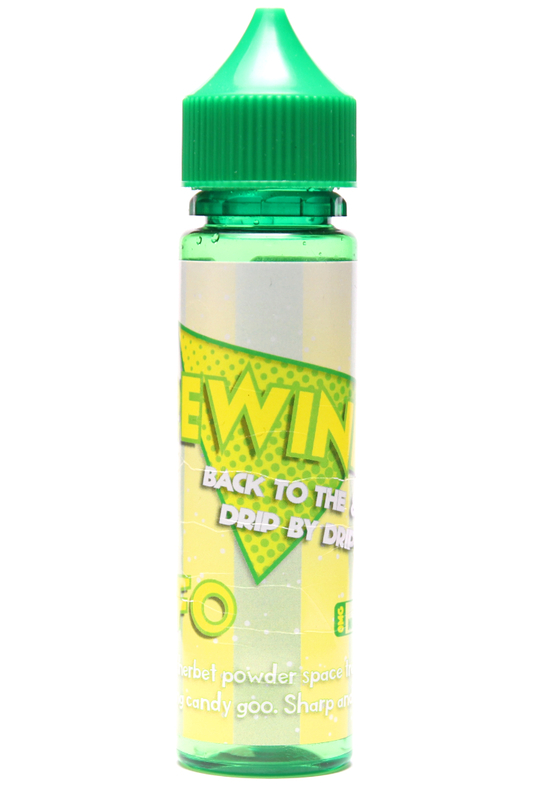 Now as a kid I loved cola cubes so I was very happy to vape this juice. The flavour continues on the exhale and was left with sweet cola cube yumminess. 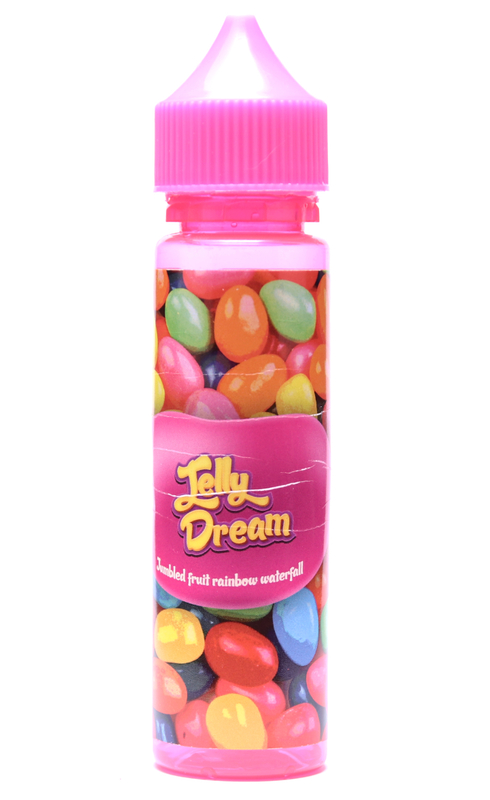 Jelly Dream – So the bottle suggests jelly beans so I am a little apprehensive as I am not a fan of jelly beans. However, on opening, I get the smell of jelly babies. Nice and sweet on the inhale and then I get a burst of candies fruits, I guess like jelly beans. Even though I don’t like jelly beans the flavour is surprisingly nice. It seems like it changes slightly on each vape. At one point I thought I could taste pineapple, then it was berries and also possibly pear. Now I could be wrong but I like it. The flavour continues on the exhale but it doesn’t stick around for long. 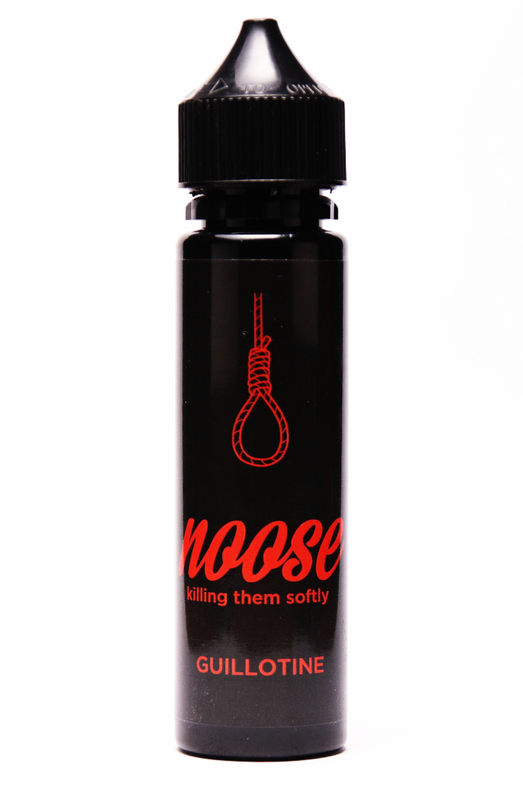 Guillotine – The bottle gives nothing away, all black with a hint of red but when opened I can smell pineapple juice. A sharp sweetness hits the tongue on the inhale and continues to when the flavour hits. When vaping on this it tasted like a tropical drink. There was pineapple and citrus, possibly orange rather than your lemon and lime. At one point I could swear I got a hint of coconut but I wonder if my brain invented it as I kept thinking ‘tropical’. It has a continued flavour on the exhale and the after taste is pineappley. My personal opinion = Well done. These flavours are really good and the juices were clean on my coils. For anyone who loves Boulevard, give Rewind UFO a go. Not the same punch as Boulevard but it’s a great all day vape. Definitely going in my top 10. Rewind Roller was surprising. A lot of companies try to get the cola flavour right but most of the time I find it harsh on the throat, this isn’t. Again, a great all day vape and probably keep the entire bottle to myself (sorry husband). Jelly Dreams and Guillotine are both good flavours but for me personally they don’t hit the spot. For anyone I meet who likes these flavour profiles I will highly recommend them. If you would like to try any of these flavours you can pick them up on ifancycone.com. 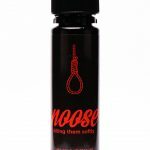 Each flavour is £15.00 for your 60ml bottle but I don’t believe it comes with a Nic Shot. Ifancyone also sells Nicofuel (as made by Wick Liquor) for £2.49. That’s all from me today. I hope you have enjoyed my little review and found the information useful. Previous Post: The rise of tabloid reviews?